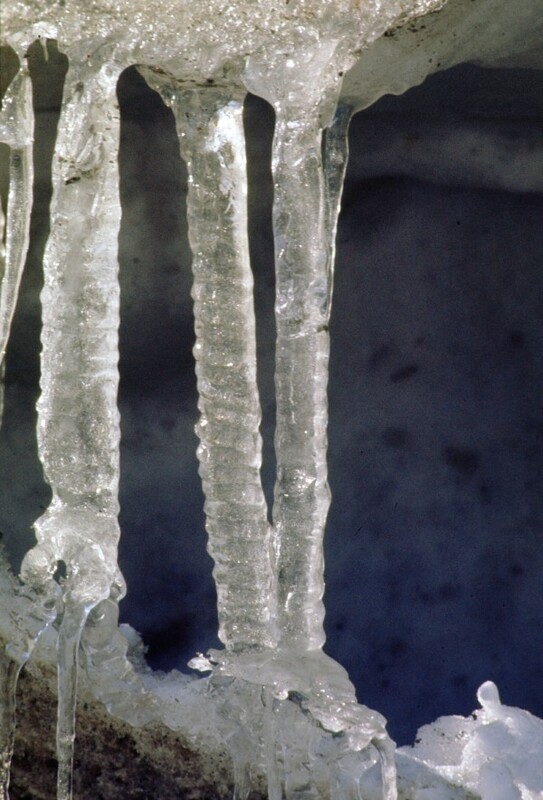 More About Removing Icicles From Your Gutters - Gutters & Guards, Inc.Gutters & Guards, Inc.
Last week we discussed removing icicles from your gutters, learn more about removing icicles from your gutters. Check out last week’s article here. Insulation – Heat can escape into the attic from the interior of your home through a number of avenues. Lighting fixtures in your ceilings, poorly laid or insufficient insulation allow excess heat to enter your attic, but it’s the latter two that you need to inspect for and address, since you have to keep insulation away from the fixtures. R-Values have increased over the years so you might stop ice dams by simply rolling extra insulation over what you have installed now. Pay particular attention to the edges of your attic and any space between rafters that might have been missed or removed in the past. Circulation – Another cause of excess heat in the attic is poor circulation. Depending on the home, some attics may have a vent/fan installed in the wall of the attic to maintain a proper internal temperature in relation to the external temperature. If you home is lacking proper circulation, you can speak with a local builder about installing baffles. A baffle is a channel run from your attic through the insulation to the soffit on your roof eave. This allows the cold air from outside to enter the attic and maintain a proper temperature. This can also help to stop ice dams from building up. If you notice that your gutters are pulling away from your home contact a professional ( Like Gutters & Guards) to tighten up your gutters to ensure that they won’t cause more damage to your home.